Congratulations are in order to Wyatt Cenac, a man, and to Emma Carmichael, our old mom, who’s working on his late-night series. 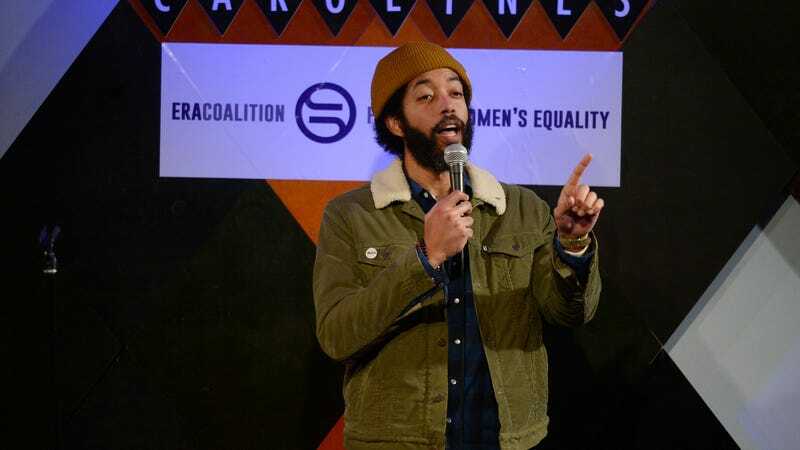 Cenac announced the news of his HBO show, Wyatt Cenac’s Problem Areas, on International Women’s Day—a fact that he acknowledged was rude to women, but also kind, since there are many women writing for the show, including Emma, Jezebel’s former editor-in-chief. Cenac’s new show seems informed by his former gig, The Daily Show, in format, blending comedy with political commentary. Per Deadline, the series will focus on “social and cultural problems facing Americans,” as well as “systemic issues” and “more benign problems.” There will also be documentary pieces in the field, from Minnesota to Cincinnati to Texas. The first of the show’s 10 episodes will premiere on HBO on April 13 at 11:30 p..m, fitting in with other late-night comedy offerings on the network.